The U.S. District Court for the district of Massachusetts has struck down several measures of a drone ordinance from Newton, Mass, creating implications for local governments seeking to create drone regulations. As American City & County previously reported, Newton had passed a drone ordinance on Dec. 19, 2016, that had sought to regulate drone use in its community. Just under a month after being passed, Newton resident and drone pilot Michael Singer represented himself in litigation he brought against the city, saying that certain measures of the ordinance were preempted by rules that the Federal Aviation Administration (FAA) had implemented. Several months later, a judge has found that the FAA’s rules indeed preempt Newton prohibitions of drone operation over private property below 400 feet in altitude (without permission of the owner), beyond the operator’s line of sight and above city property or sporting events without city permission, per court documents and Newton’s original ordinance. Additionally, the judge ruled that Newton’s requirements for drone registration with the city were unlawful. Not all of the ordinance was deemed unlawful. 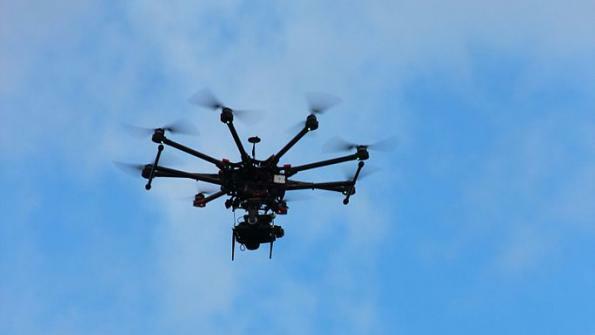 Greg McNeal, a professor of law and public policy at Pepperdine University and co-founder of drone software company AirMap, cited measures in Newton’s ordinance that prohibited harassment and surveillance via drone as being reasonable actions, American City & County reports. “I might disagree on the policy judgment there, but it’s not clear to me that all of that would be considered unlawful,” he told American City & County. Newton officials had argued that the city’s ordinance validly exercised traditional municipal police powers, which the FAA allows, American City & County reports. “There can be no preemption when the FAA has given explicit permission to legislate,” officials wrote in court documents. The judge however, left the opportunity open for Newton to create a new and lawful ordinance. “As it is unchallenged, the remainder of Newton’s Ordinance stands,” District Judge William G. Young wrote in court documents. “Of course, nothing prevents Newton from re-drafting the Ordinance to avoid conflict preemption.